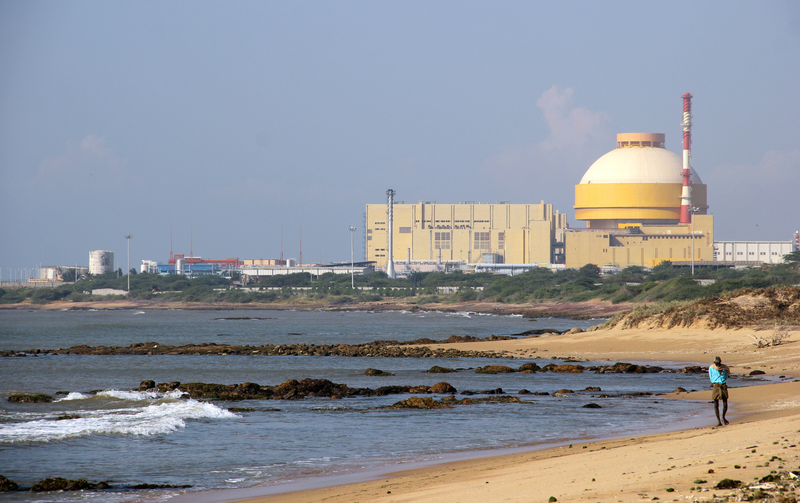 Roastom constructed the Kudankulam nuclear power plant, which is now being operated by NPCIL. The Russian company is ready to offer technical support and finance. Russia hopes that a new site for a nuclear power plant in India will be chosen in the near future, Evgeny Pakermanov, President of Rusatom Overseas (a unit of Russian State Atomic Energy Corporation Rosatom), told RIR on Feb. 6. Contracts for the new units will be signed soon, he added. “In order to build on the successful cooperation achieved at the Kudankulam Nuclear Power Project (KNPP), our countries plan to build at least six power units at the new site in India in accordance with intergovernmental agreements”, Pakermanov told RIR. He added that Rosatom was ready to offer technical assistance and special credit terms for the project. He added that the Andhra Pradesh government had given its consent to carry out technical studies required to identify potential coastal sites for locating nuclear power plants in the state. Singh told the parliament that the Government of India was instituting an extensive public outreach programme near Kavali (including public hearings and consultations) to spread awareness about nuclear power and all its related aspects based on a multipronged approach. Rosatom constructed the KNPP, which is now being operated by The Nuclear Power Corporation of India (NPCIL). The second unit at Kudankulam has already reached 100 percent capacity (1000 megawatts). In December 2014, Russian President Vladimir Putin and Indian Prime Minister Narendra Modi signed the ‘Strategic Vision’ document, which envisages the construction of at least 12 more Russian-designed nuclear power units in India.